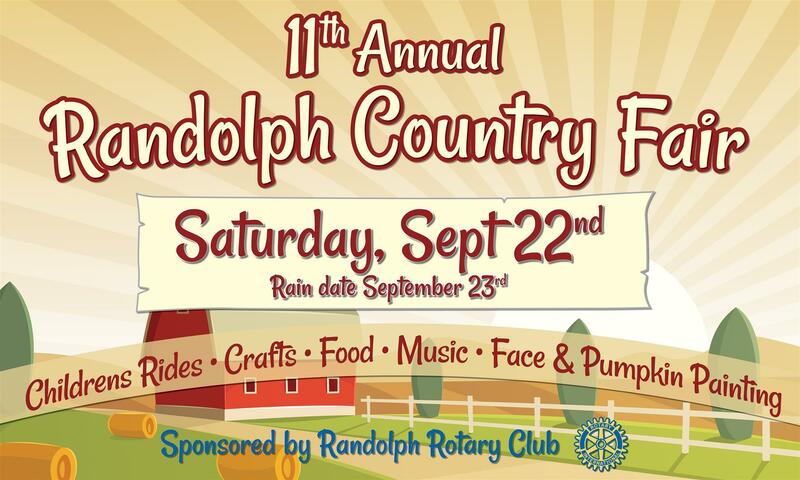 It's hard to believe that 10 years of sponsoring the Randolph Fall Country Fair have passed! Join us in celebrating 11 years of fall fun. We will have fun, dog costume parade, rides, entertainment, crafters, food & drinks, antique cars, Emergency vehicles, hayrides and more!!! of the Rotarian of the Year award, Roy Claps.